Veena Somareddy is a virtual and augmented reality software developer creating games and experiences for medical training and simulation. She has a BS in Computer Science and a Masters in Game Design and Development from UTDallas. She has many years of industry experience working for large and small start ups creating VR experiences. While leading the creation of therapy tools at Neuro Rehab VR full time, she is also pursuing her PhD with her research work concentrated in applications of VR in the medical domain. Bruce Conti has many years of experience managing various companies from real estate, whiskey distilleries to physical therapy clinics. 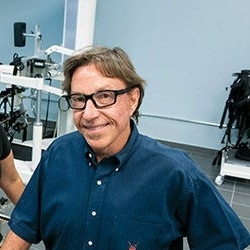 He founded the Neurological Recovery Center, the largest robotic physical therapy clinic in the U.S. He is now concentrating his efforts on expanding it further and also founding a physical therapy clinic for veterans. He is passionate about providing the latest equipment and the best experiences for the patients who are a part of his clinics. His enthusiasm for integrating cutting edge technologies in his clinics lead to the founding of Neuro Rehab VR. Brian C. Wood M.D, M.S. Arik Yates, PTA has clinical experience in acute, orthopedic and neurological rehabilitation. He graduated from the Weatherford College Physical Therapist Assistant program in May of 2017 with initial interest in pursuing pediatric physical therapy upon graduation. 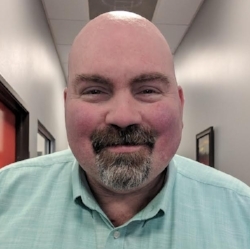 He has worked in pediatric home health physical therapy prior to coming to the Neurological Recovery Center in September of 2017. Arik has an interest in new VR technology and it's role in Physical therapy with CVA, TBI patients to improve upper extremity coordination/utilization as well as standing stability and balance. Fei Tang is a Computer Sciences Ph.D. candidate at the University of Texas at Dallas. His research areas include Virtual Reality and Human-Computer Interaction. He has many years of work experiences as a software engineer in developing real-time 3D applications. His recent research and industrial projects are focused on creating VR devices and applications for medical therapy. Henry Weber is a graduate from Ohio University with a BS in Communication, major in Integrated Media and minor in Business Administration. Henry has a background in working with companies and clients on various forms of digital multimedia, video productions, social media, web development, business development and virtual reality experiences. 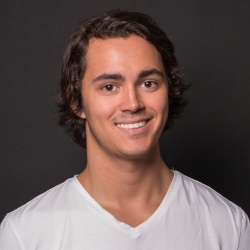 Henry found a passion in the intersection of VR and healthcare, and has previously produced a library of virtual reality training experiences for the main trauma center at the Zuckerberg San Francisco General Hospital. Non-sensitive actor demos of the training experiences were presented at SXSW 2018.